1. The Bear Inn – This is thought to be Oxford’s oldest pub, where in times gone by they’d snip off your tie if you visited whilst wearing one. The pub dates back to 1242 and today has a great combination of real ales and home cooked food. 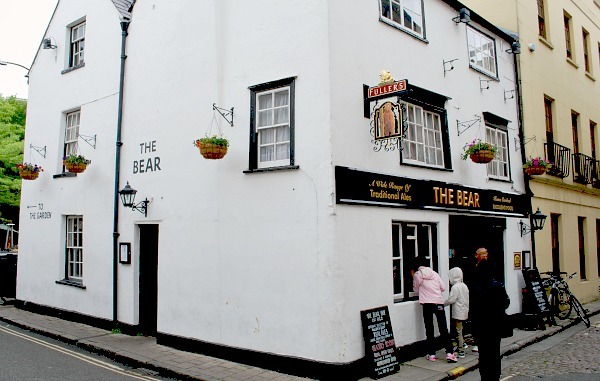 You’ll find the pub at the corner of Alfred Street and Blue Boar Street near Christ Church college. 2. 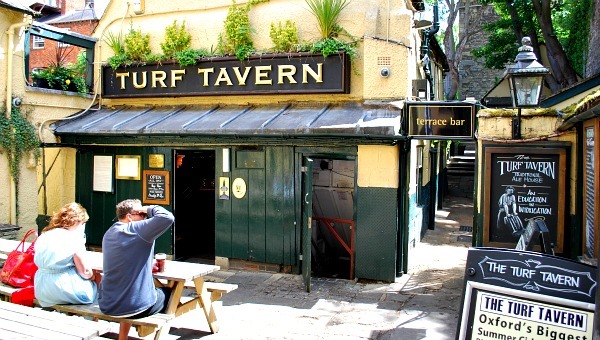 The Turf Tavern – A Student favourite from the 13th Century, tucked away up a back-alley. Another real-ale pub, with plenty of choice and great on a sunny day as the pub itself isn’t huge, but the beer garden and outdoor drinking areas are lovely. It can be quite a challenge to find the pub but it’s worth it! Our favourite way to it, is to take the small alleyway on the left of New College Lane just after you’ve walked under the Bridge of Sighs. 3. 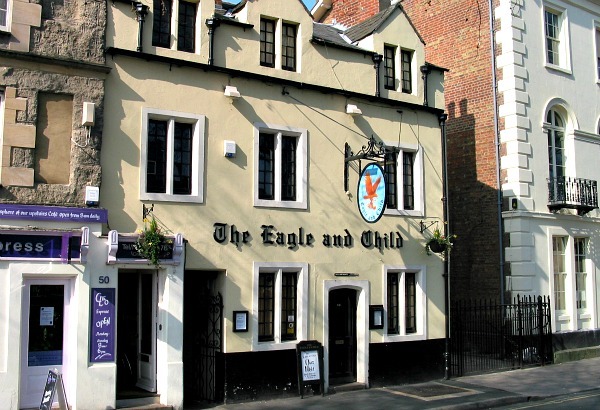 The Eagle & Child – Worth a visit more for its history than anything else. Think about some of the greats of modern literature and they probably drank in this pub. Most notable, CS Lewis and JRR Tolkein. It actually belongs to St John’s College and it’s worth popping in just to say you’ve been. You’ll find it slightly out of town on St Giles’ near Wellington Square. 4. 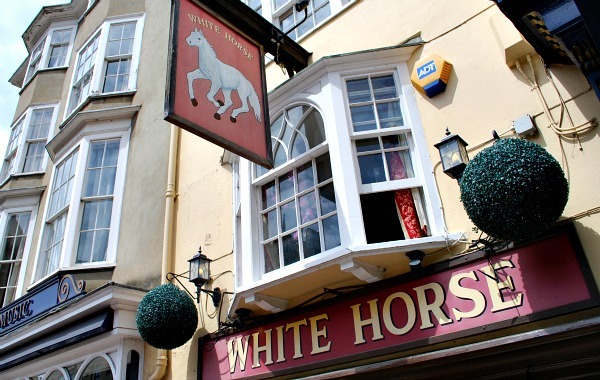 The White Horse – Slap bang in the centre of Oxford on Broad Street, this small pub is sandwiched between departments of Oxford’s most famous book store and is a favourite hang out the detectives from the British TV series Lewis, Morse and Endeavour. There’s real ale inside and the pub is renowned for its fish and chips too. 5. 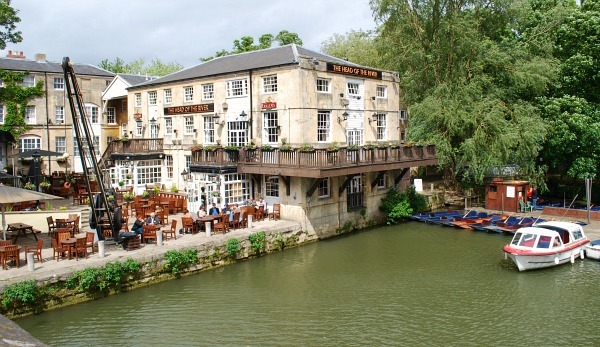 The Head Of The River – A chain pub, but one with lovely views of the river Thames and plenty of outdoor seating. Another pub that has been used in the Inspector Morse TV series. It’s a converted 19th century warehouse and still has some of the facilities used for loading boats as features in the beer garden. You’ll find it at Folly Bridge. This pub guide is part of our free Oxford City Guide.